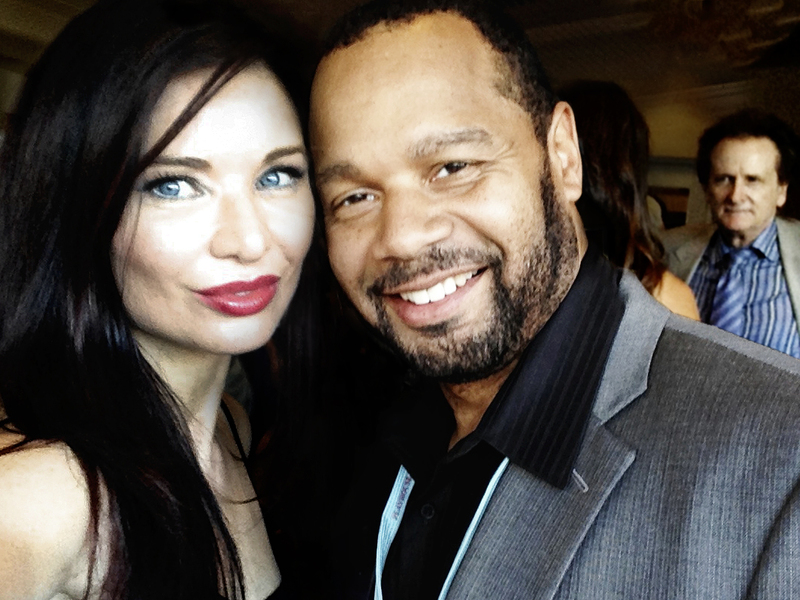 The Platinum Remi Award is the latest in a series of accolades bestowed upon the critically acclaimed short film who's original dramatic story is by multi-award winning director Wolfgang Bodison and multi-award winning actor and filmmaker Elizabeth Yoder. Their creative collaboration began after the two discovered they shared the same wound, losing their fathers to car accidents as children. We are building on The Long Wait's critical acclaim by developing it into a feature-length screenplay to generate further momentum for our labor of love. 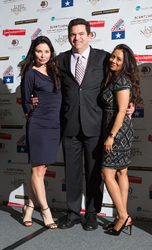 The Long Wait, a critically acclaimed short film by award-winning filmmakers Wolfgang Bodison (A Few Good Men, ER, CSI: NY/Miami, NCIS) and Elizabeth Yoder (starring as Grace), received the coveted Platinum Remi Award at the 48th annual WorldFest-Houston International Film Festival! 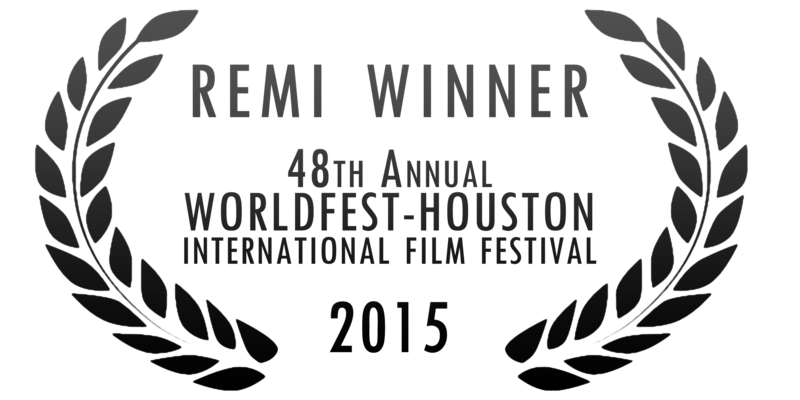 The WorldFest-Houston International Film Festival distributes the Remi Award, named after western artist Frederic Remington, who captured the unique spirit of Texas in his paintings and sculptures. Since its inception in 1961, WorldFest-Houston has recognized a long list "discovered" cinematic visionaries such as Steven Spielberg, George Lucas, David Lynch, Ridley Scott, Oliver Stone, Leslie Linka Glatter, Spike Lee, Randal Kleiser, Ang Lee, Robert Rodriguez, the Coen Brothers, John Lee Hancock and many others from their beginning efforts for film submissions early in their careers. The Long Wait is based on real life childhood traumas of Bodison and Yoder, both of whom experienced the sudden death of their fathers at young ages. Bodison and Yoder connect their audiences to the psychological guilt, fear, and shame experienced by the victims and perpetrators of one such incident, effectively capturing each character’s search for healing and inner peace. "I was interested in exploring the idea that sometimes, the pain is not just limited to the victim of loss; that in the case of The Long Wait, the drunk driver responsible for Grace’s pain might also be suffering from an overwhelming feeling of guilt," says Bodison. "How does the healing process begin for both persons involved? Can there be forgiveness? Is revenge justified? It’s a complicated situation, one that I thoroughly enjoyed exploring." Previously, Wolfgang Bodison received the Jury Choice “Best Director” Award at the Playhouse West Film Festival. For her portrayal as Grace, Elizabeth Yoder has won “Best Actor” at the 8th Annual Beaufort International Film Festival as well as “Best Actress” at the Jersey Shore Shorts Film Festival. Yoder was also nominated for "Best Actress" alongside screen icon Shirley MacLaine, who was also nominated "Best Actress" at the Hill County Film Festival in Fredericksburg, TX. 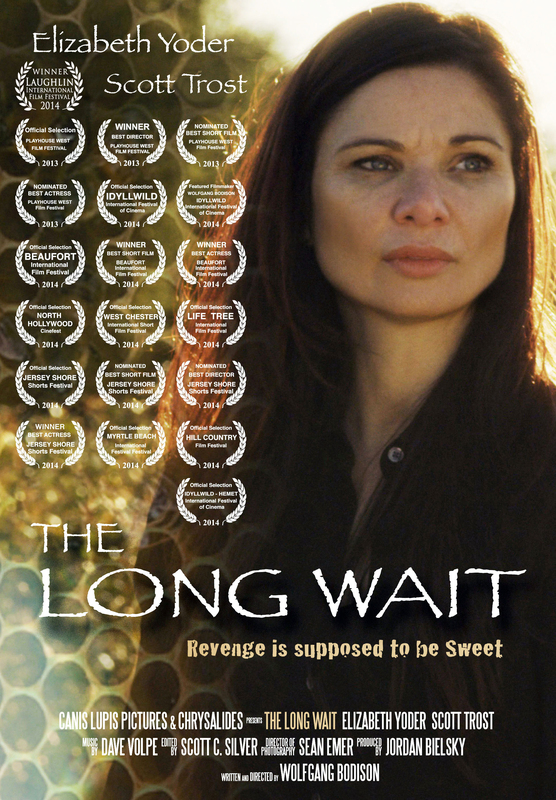 The Long Wait film was awarded the Ribaut Award for “Best Short Film” and the “Storytelling Achievement” award at the Laughlin International Film Festival. Bodison and Yoder are building on the film’s critical acclaim, developing it into a feature-length screenplay to generate further momentum for their labor of love. Wolfgang Bodison is best remembered for his performance as Lance Corporal Harold Dawson in the critically acclaimed, Rob Reiner film, A Few Good Men. Most Wanted, Freeway, Joe Somebody, and Legacy are just a few of his ever-growing film credits. He recently starred in the independent features: THE APPEARING, RAGAMUFFIN, VERTICAL, and PRETTY ROSEBUD. Television credits include recurring roles on “Nothing Sacred” and “Family Law,” as well as guest-star appearances on hit shows such as “CSI: NY,” “CSI: Miami,” “NCIS,” “Cane,” “ER,” “The Wedding Dress,” and “Perception.” The past several years, Wolfgang has transitioned to filmmaker by writing and directing the short films, SIMONE, BROKEN, SARAH’S WISH, and THE LONG WAIT, all of which have screened in major festivals worldwide. Yoder's journey to Hollywood began with humble origins. Born and raised in Indiana on her German/Swiss 1800's family homestead hailing from both the Amish and Mennonite lineage, Yoder lived in a community where television and radio was taboo. As she matured, she gradually became aware of a mysterious progressive world outside her strict upbringing and the faraway glow of television transformed into the beckoning lights of Hollywood. Yoder has won multiple awards from festivals as Grace in The Long Wait film including "Best Actress" at the Jersey Shore Shorts Film Festival, "Best Actor" at the 8th Annual Beaufort International Film Festival and the Ribaut Award for "Best Short Film", and "Best Director" at the 18th Annual Playhouse West Film Festival. Ms. Yoder was nominated again for "Best Actress" alongside screen icon Shirley MacLaine at the Hill Country Film Festival, and shares the most recent win of 'Storytelling Achievement' award. Founded by Elizabeth Yoder, a 501(c)(3) charity organization that is dedicated to the support and empowerment of those whose emotional lives have been shattered by the death of someone close. "Like"Elevating Hope on facebook and follow on twitter. Elevating Hope "Because Love is Forever!"